As more and more people get quick connections to the internet, such as cable or ADSL, it becomes apparent to the user of a simple dial-up modem that the World Wide Web can quickly turn into the World Wide Wait. Here a trick that can help speed up your current modem without shelling out the big bucks. In the NetTrans folder you should find another folder named “000x” in which x represents a fourth digit. Right-click on the “000x” folder and select New and StringValue. Rename the item that appears in the panel on the right side to MaxMTU, then double-click it to bring up the Edit String box and give it a velue of 1002.Remember to keep playing with the MaxMTU value until you feel that your internet connection has greatly sped up. Some people report huge speed gains using this tricks, while others hardly notice a difference. In any case, it’s definetly worth a try. 1. Go to Start —-> Run . Type regedit, then enter . Look for Received: from followed by a few hostnames and an IP address between square brackets. In this case, it is note..
6. Track the IP address of the sender note…. WHO IS INVISIBLE IN YAHOO MESSENGER??? The following two tricks lets you see who is invisibe in yahoo messenger.without his or her knowing that you are aware of his or her presence.This is a working trick. ..1..Open the conversation window of the person..whom you suspect to be online. ..4..After sometime if it is able to load….it means your so called buddy is online n he or she doesnot want to talk to you..
5. Click Next. Name it whatever: Google Talk Multiple, etc. 6. Click OK until you are done. Hey all Pals, did you know that you can REALY watch movies in MS PAINT ? 5) Presto! You can watch movies in Paint! network.http.request.timeout – 300Normally the browser will make one request to a web page at a time. speeds up page loading.Lastly right-click anywhere and select New-> Integer. Name it “nglayout.initialpaint.delay” and set its value to “0″. If you’re using a brodband connection you’ll load pages 2-25 times faster now. 2. Copy the following code to the Notepad. 3. Save the file as NetSpeed.reg or what ever name you want but the extension should be .reg. Hope you enjoy it with speed. Few websites need USERNAME and PASSWORD to access it completely. the website URL for which u want user and psw you will find few username and passwords. Just use them. 2. Find the file named “HOSTS” . 4. Add 127.0.0.2 www.sitenameyouwantblocked.com , below 127.0.0.1 localhost line and that site will no longer be accessible. Want to download any video from you tube.Just visit the this site,and enter the youtube video link.Thats all. If you dont want to visit the above site.Than U can try this also. 1)Whenever you are watching video on YouTube, goto the address bar at the top of your browser. 3)And Press the ‘Enter’ key and it will bring you to this website. Click on the download link provided to save the video to your computer. NOTE: Remember to save your video with “.flv” extension. Eg. some_video_filename.flv. Use the free flv player we recommend to play the video. If you want to convert it into other format like .avi or mpeg.Than read here. Here you can find useful tips you can do to make your pc work faster in a few minutes , just follow these tips and you will definitely have a much faster and more reliable PC! 1. Wallpapers: They slow your whole system down, so if you’re willing to compromise, have a basic plain one instead! 2. Minimizing: If you want to use several programs at the same time then minimize those you are not using. This helps reduce the overload on RAM. 3. Boot Faster: The ‘starting Windows 9x , xp’ message on startup can delay your booting for a couple of seconds. To get rid of this message go to c:\ and find the file Msdos.sys. Remove the Read-Only option. Next, open it in Notepad or any other text editor. Finally, go to the text ‘Options’ within the file and make the following changes: Add BootDelay=0. To make your booting even faster, set add Logo=0 to remove the Windows logo at startup. 4. 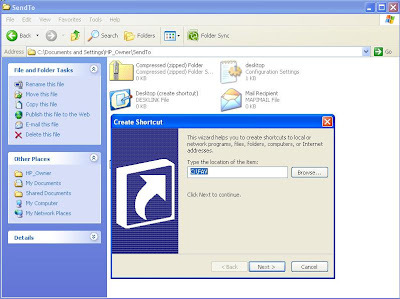 Restart only Windows: When restarting your PC, hold down Shift to only restart Windows rather than the whole system which will only take a fraction of the time. 5. Turn Off Animations: Go to Display Settings from the Control Panel and switch to the Effects Tab. Now turn off Show Windows Content While Dragging and Smooth Edges on Screen Fonts. This tip is also helpful with Windows XP because of the various fade/scroll effects. 7. Start Up Programs: Windows can be slowed down when programs run on start up. To eliminate this, check your Start up folder. You can access it from the start menu: Start, Programs, Start Up. Another way to eliminate programs from loading even before Windows actually starts is by doing the following: Click on Start, then Run. Type msconfig. It will take quite a long time for this program to load, but when you finally see it on your screen, explore the different tabs. They all have to do with how quickly your PC boots, so select what you want, and uncheck what you don’t want! 8. Fonts: When Windows starts, it loads every single font in the Fonts folder. Therefore, the more fonts you have, the slower the booting process. To get rid of unwanted fonts, simply go to the Fonts folder under c:\windows and remove whatever you don’t want. Fonts that have a red letter ‘A’ as their icon are system fonts, so don’t delete them. 1)Start any application, say window window media player.Start playing any song. 2)Now start the Task Manager Processor tab and sort the list in descending order on Memory Usage. You will notice that Wmp.exe will be somewhere at the top, using multiple MBs of memory. 3)Now go back to media player and simply minimize it. 4)Now go back to the Task Manager and see where Wmp.exe is listed. Most probably you will not find it at the top. You will typically have to scroll to the bottom of the list to find Word. Now check out the amount of RAM it is using.The memory utilization has reduced by a huge amount. So,simple-minimize each application that u are currently not working on by clicking on the Minimize button and you can increase the amount of available RAM by a great margin. Depending upon the number and type of applications you use together, the difference can be as much as 50 percent of extra RAM and all this is free of cost. Razz In any multitasking system, minimizing an application means that it won’t be utilized by the user right now. 2.Right click on it,press rename or simply press F2. 3.Press and hold the alt key.While holding the Alt key,type numbers 0160 from the numpad. Note:Type the numbers 0160 from the numpad,that is,the numbers present on the right side of the keyboard.Dont type the numbers which are present on top of the character keys. Reason:The file or folder that seems nameless is actually named with a single space. 3.Release the alt key.Now without doing anything else,again hold alt key and press 0160. 4] Under “127.0.0.1 localhost” Add 127.0.0.2 www.orkut.com , and that site will no longer be accessable. For every site after that you want to add, just add “1″ to the last number in the internal ip (127.0.0.2) and then the addy like before. Hope this small tutorial could keep you going in simple way of blocking websites..
it’s value and set it to 3FFFFFF (Hexadecimal). Now restart your computer. So, now when you click on My Computer, no drives will be shown(all gone…). To enable display of drives in My Computer, simply delete this DWORD item that you created. Again restart your computer. You can now see all the drives again. Magic……..lol…. Now sit back and relax, it should all load and fix all your corrupted file on win XP.